UPDATE: To accommodate our adoring mutinous mutineers – we’ve shifted the location and time. Same date, March 31st 2012, THIS SATURDAY. What’s that you say? It’s the end of a mutinous era and you never even made it to a Sepia Mutiny Meetup? Rajni the Monkey went wild in the bunker once he heard this news and is now throwing poop at your computer screen. But ask and The Mutiny delivers – at least for the next 15 days till the April 1st door slam. ANNA revived the 55 Friday because of this tweet and hell, thanks to this forlorn tweet from @YungCoconut and @AmericanTurban, I will do the same. Join Manish, Vinod, Pavani and myself for the Cali swagest meetup of your mutinous lifetime in San Francisco on Saturday March 31st. We know that you Alterna-Desi types have already bought your tickets to the 8th annual Yoni Ki Baat performance. “Yoni Ki heh…?” you ask? 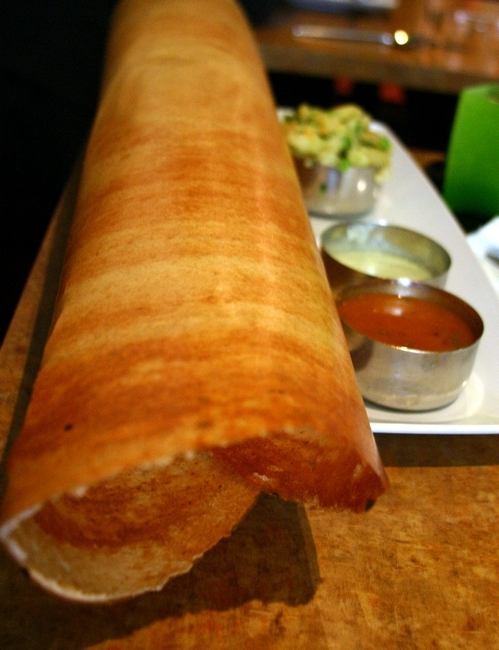 Desi, please. 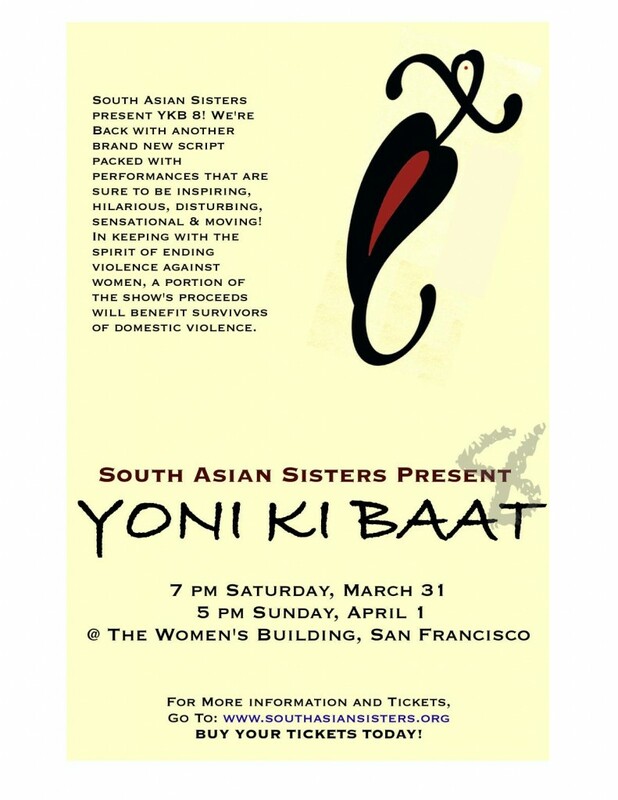 For more info and to purchase tickets to the March 31st & April 1st San Francisco Yoni Ki Baat shows, please check out their site here. Please comment below if you will be able to make it! Since this is the last meetup – EVER – I highly suggest out-of-towners fly into SF for a Cesar Chavez long weekend of Mutinous fun. If you have a bar/lounge suggestion (that is open at 4:30pm) do let me know and we can change the local, as long as we keep it in The Mission. And if you can’t come to the meetup but want to keep in touch - you can always find us on twitter, too. It’s not goodbye – it’s just a farewell, for now. I’ll see y’all on the internet flip side and by that I mean IRL. The wonderful city of Denver, Colorado is exactly 5280 feet above sea level. (And you thought we were talking about something else? Chhi!) We’re holding our first meetup in the Mile High City this coming Thursday the 23rd. Sepia’s web wizard Kunjan will be in Denver this week, and though it’s a school night, I promised him I’d drive an hour north on I-25 to see him. We’ll be meeting at IndiÃ¤’s Restaurant because it satisfies some minimum requirements: decent food, easy access from I-25, plenty of parking, and a respectfully stocked bar. I was half hoping that one person would join us and then go next door for a 2.5-hour Hindi/Telegu/Tamil cinematic extravaganza– so we could crown that person the brownest person in the room, but it doesn’t look as if anything is playing that night. We’ll still take nominations though. I’m rooting for the person who figures out why our restaurant has an umlaut, which means that it should be pronounced “Indi-yehs.” (But maybe it’s more like HÃ¤agen Dasz). When I first moved to Colorado, I thought it was the whitest place I had ever been. Then I got stuck in the airport at Salt Lake City. Now that I have lived here a while, I know there are many of you around. I’ve met a fair number of South Asian American 2nd-gens like me in Colorado, but I’ve also met people from every single South Asian country (including the Maldives) except Bhutan– though I know you’re around too. 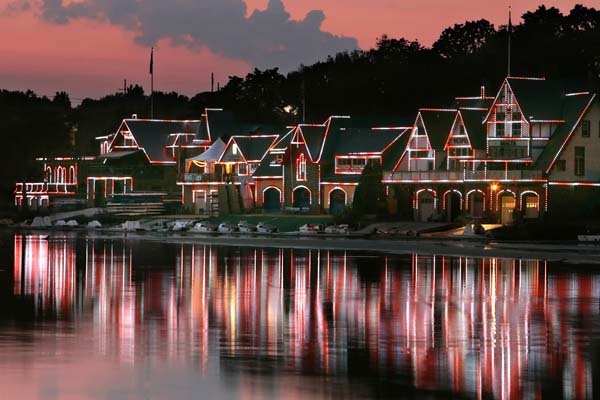 Oh Philadelphia, did you think we could forget you? This year mutineers have partied in Boston and LA, but now we’re bringing you a meetup in the City of Brother Love itself. Amardeep and I decided to mark the release from our respective academic bastions with a meetup with you, our lovely Philadelphia-area readers. Guess what that means? It means you Jersey, Delaware, New York and Philly readers need to ditch the post- apocalypse that is your holiday celebration and come hang out with us. So after you’ve demolished your mom’s figgy pudding and russ malai and returned that ugly sweater your auntie gave you, head down to Philadelphia’s Chinatown section and join us at Penang, for some delicious Malyasian Indian cuisine. Here’s what we can’t promise: Bill Cosby/cheesesteaks/an Eagles win. 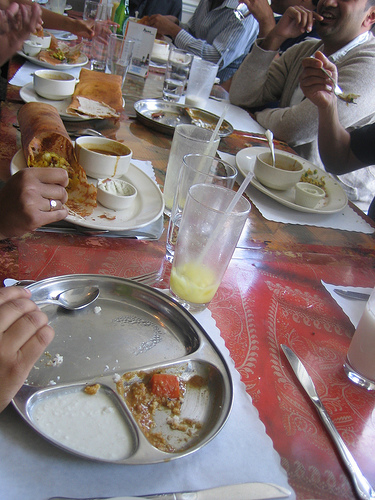 Here’s what we can promise: scintillating conversation/beautiful people/good food. Reservations: We need an accurate headcount to reserve a table. If you’re coming, please email Amardeep at amardeep [at] sepiamutiny.com. It’s winter here in Los Angeles. My umbrella had to be dusted off for the few days of rain, a hoodie was pulled out for the 50 degree cold weather, and Christmas lights are wrapped up around the tall palm trees all across the Southland. Truly winter-time in Southern California. I think it’s the perfect weather for a Sepia Mutiny meetup. This will be a special one – Abhi has decided to unlock the ball and chain to one of our fantastic webmasters to join us for his first meetup in five years. Rajni the monkey has gone wild in anticipation. Webmaster extraordinaire Kunjan will be joining us for the meetup. “Epic” is such an overused word. Thinking back on last night’s mutineer meetup in Boston, however, it’s the only word that comes to mind. Because what else do you get when 30 plus Bostonian mutineers take over the better part of Harvard Square’s Finale dessert restaurant? Perhaps I’m still buzzing from the combination of chocolate martinis and scintillating conversations, but I have to say my first meetup ever already has me awaiting the next one. Why, hello Boston. Home of Haaaarvard, Dunkin Donuts, Jhumpa Lahiri and the Red Sox. And brown people. 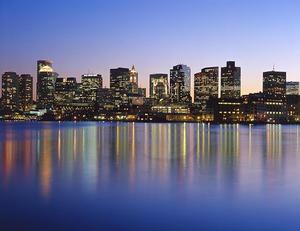 Boston is home to plenty of South Asians. How is it then that Sepia Mutiny has never hosted a Boston Meetup? It’s about time to flip the script. So how about it? Let’s all get together for Boston’s first ever Sepia Mutiny Meetup? 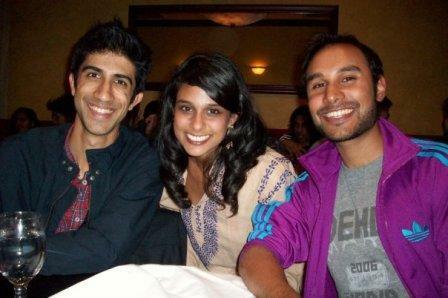 Join Ravi, Phillygrrl and Taz Friday, September 25th for the best brown event to blast Boston. I’ll be visiting from LA, Phillygrrl is flying in specially from Philly, and Ravi is the ‘local’ hosting it all. It will be a first meetup for Phillygrrl and Ravi, and I promised them I’d make it just as good as the ones I’ve hosted in the past. Bostonians, don’t let me down. RSVP: In the comments below. Leave your e-mail address so we can contact you if things change. Mmmm, chocolate. And brown people. Can’t wait. The location is tentative – we were looking for a place to congregate around happy hour time that would also be all ages. We also are not sure if they will take reservations for bigger parties. 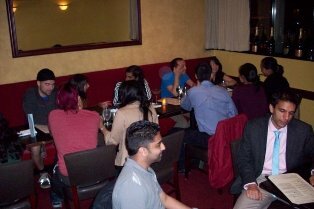 We chose Harvard Square area to accommodate students. If you have another location that you’d like to suggest, please drop it in the comment section as well. I also kind of wanted to check out DJ Kayper later that evening. As several of us will be in town for a wedding-shedding, come enjoy a joint Ultrabrown + Sepia Mutiny meetup Aug. 16. We’ll hold it at our usual spot, Verlaine in Lower East Side, the place with $5 lychee martinis and a comfy sitting area. From 5pm on. Mark your gCalendars! Joint meetup, Sun Aug. 16, 5-8pm at Verlaine, 110 Rivington St. between Essex/Ludlow. Take F,J,M,Z to Essex/Delancey, walk north 1 block. p.s. special guest: Manish’s mustache! Posted on July 3, 2009 by V.V. Guess what? Ennis and I are going to hang out and we want you to come.